In the UK today, around 1 person in every 30 lives with some form of sight loss, according to the RNIB (Royal National Institute of Blind People). Out of these, around 360,000 are registered with their local authority as blind or partially sighted. With an ageing population and an increase in underlying issues that can lead to sight loss, including obesity and diabetes, the RNIB expect the number to rise, with as many as 2.25million expected to have some form of sight loss by 2025. Whilst we shouldn’t be alarmed by these figures, it does underline the fact that many homes do need adaptations to help people cope with visual impairments. 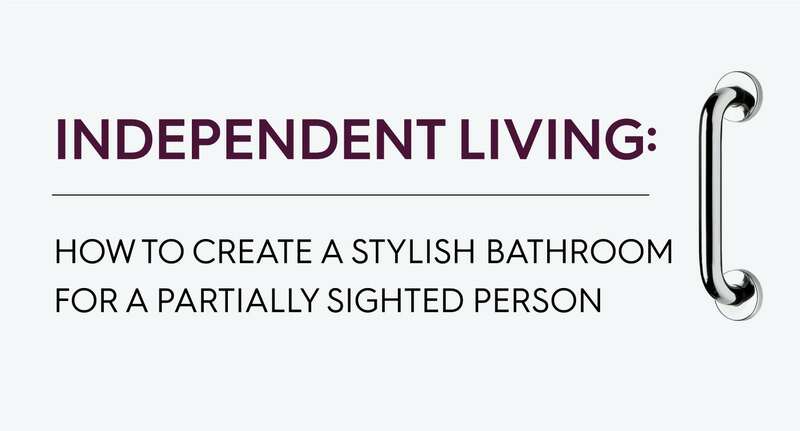 We continue our series of Independent Living bathroom guides by examining the types of things you’ll need to consider when designing a bathroom for a blind or partially-sighted person. As many such bathrooms are often shared spaces, we’ll show you how it can be designed to cater for other family members through the clever use of layout, products and surfaces. Independent Living is a term we use at VictoriaPlum.com to describe the act of living with some form of disability or issue which may affect a person’s mobility on a daily basis. This can vary greatly, from simple mobility issues due to old age to more severe and complex problems. In most cases, through simple adaptations, the home, and in this case, the bathroom can be made more accessible, helping that person to maintain their independence, without having to rely on a full-time carer or live in some form of care accommodation. Many of the types of adaptations you might expect to see in a bathroom are such things as grab rails, which help people support themselves or lower themselves into the bath or onto the toilet; shower seats and easy-to-use controls for showers, basins and baths. 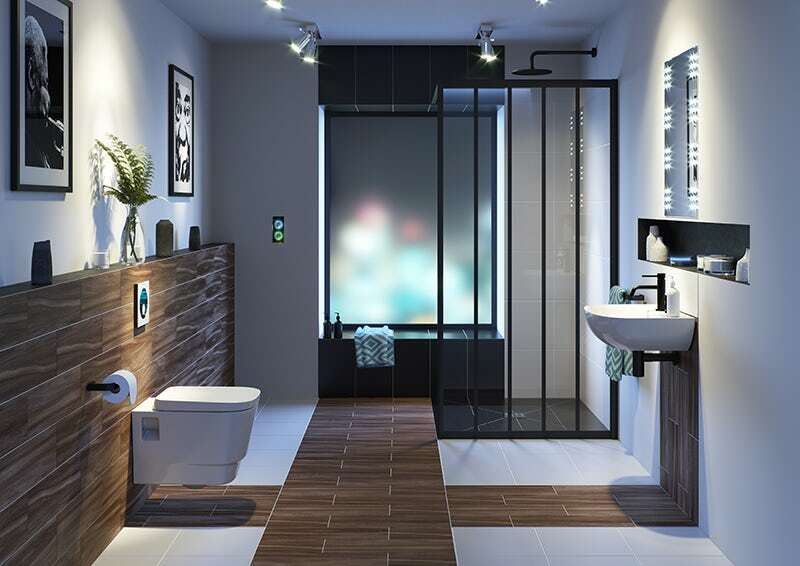 However, according to that person’s specific needs, other products can be used to create a bathroom that is both accessible and stylish, designed to cater to their exact situation. 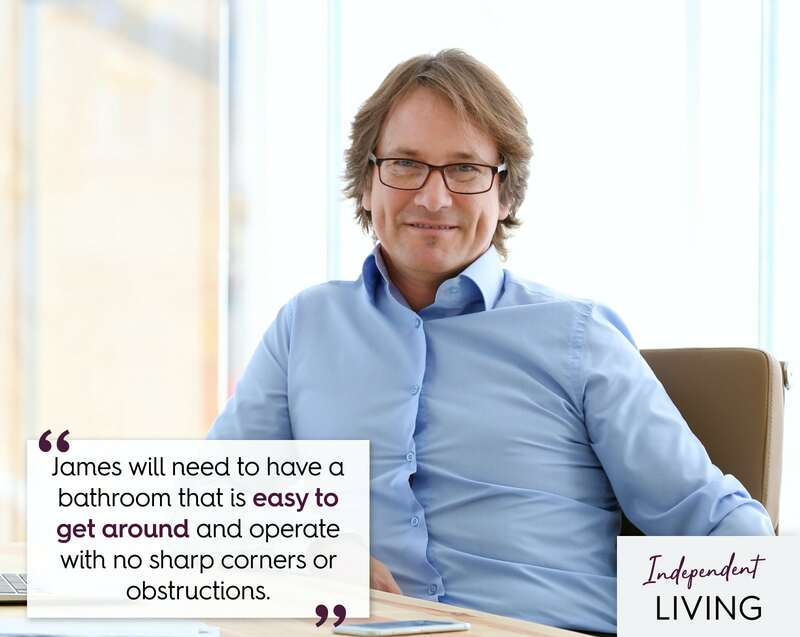 You can find out more about this topic by reading our Independent Living blog post, which will introduce you to the concept and show you how a stylish bathroom can be achieved. You can also discover the differences between Independent Living vs. Assisted Living. 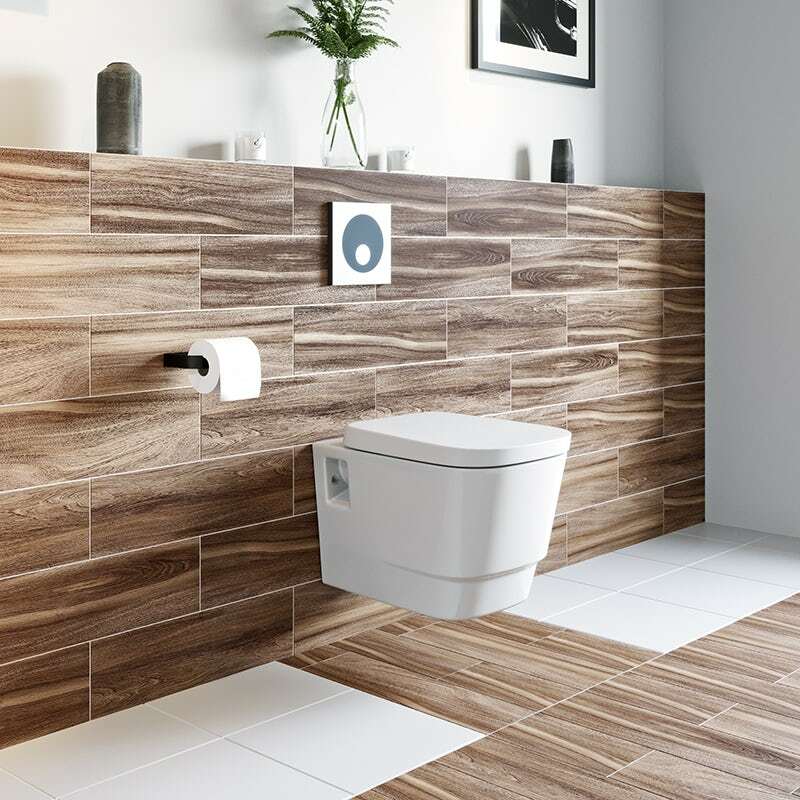 To demonstrate how to create a stylish yet functional bathroom for a partially sighted person, we’ve created the following case study, which follows someone with such a visual impairment in their pursuit of a new bathroom. This is James. James, 45, has been partially sighted all his life. Living in a city location with his wife, he has a decent-sized home with three bedrooms. The property is quite old and has a certain period charm to it. His home has always had to be specially-adapted to accommodate his disability. Now, he wants to update his main bathroom. He’s not sure whether to keep things traditional, in-keeping with the period nature of his home, or whether to keep up with current trends in interior design. Naturally, he will need to have a bathroom that is easy to get around and operate with no sharp corners or obstructions, plus tactile or brightly coloured elements which will help guide his way. Taps will need to have easily accessible handles. A smart voice-activated shower could be a real help. There’s no doubting that this bathroom is incredibly stylish whilst being specially adapted for use by a partially sighted person. With clean white walls, plus clearly defined zones which have been created using darker tiles, this bathroom is easy to navigate. Level access has been incorporated into the design, thanks to a wet room enclosure. 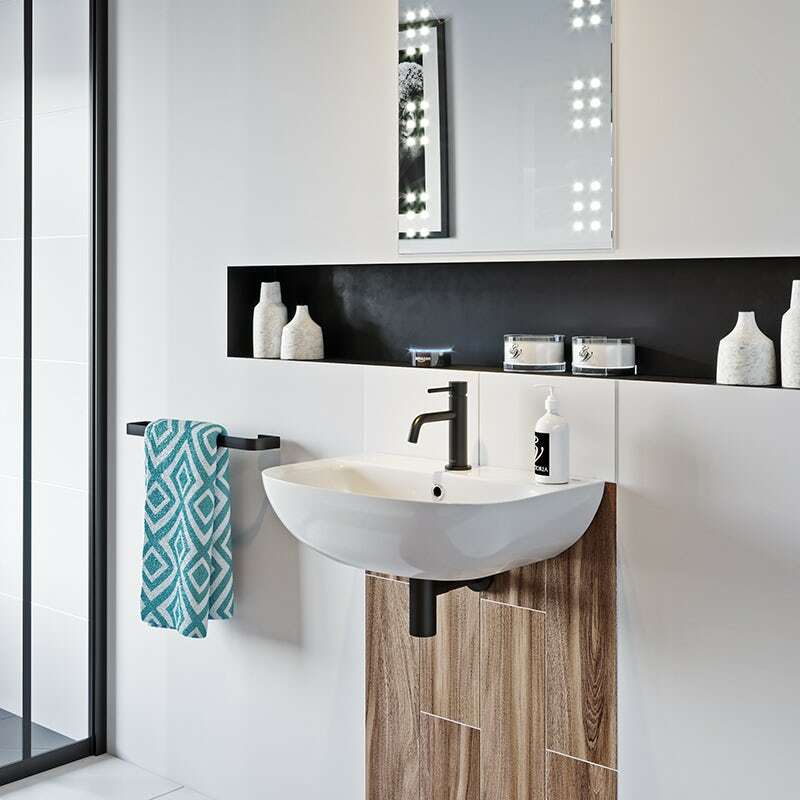 There is also little in the way of obstructions, with a wall hung toilet, wall hung basin and recesses for toiletries, instead of shelves which would intrude into the space. The adaptations are subtle enough, so as not to appear as a bathroom for Independent Living, yet they are important, helping James to maintain his independence. We will highlight these adaptations in the next section. Whilst James is perfectly mobile, his visual impairment still means that steps or differences in heights could be very hazardous indeed. That’s why level access is maintained throughout the bathroom with a wet room shower installation. Shower enclosures and trays these days can be as low as just a few centimetres (or an inch in old money! ), however using a wet room tray and tanking kit, and by tiling over the top, you can easily create level access with no lips or steps. It is also future-proofed, should James and his wife suffer mobility issues in the future—an excellent bathroom for the elderly. The glass screen comes with high contrast black frames so that it stands out from the rest of the room. This type of frame is also massively on-trend at the moment. 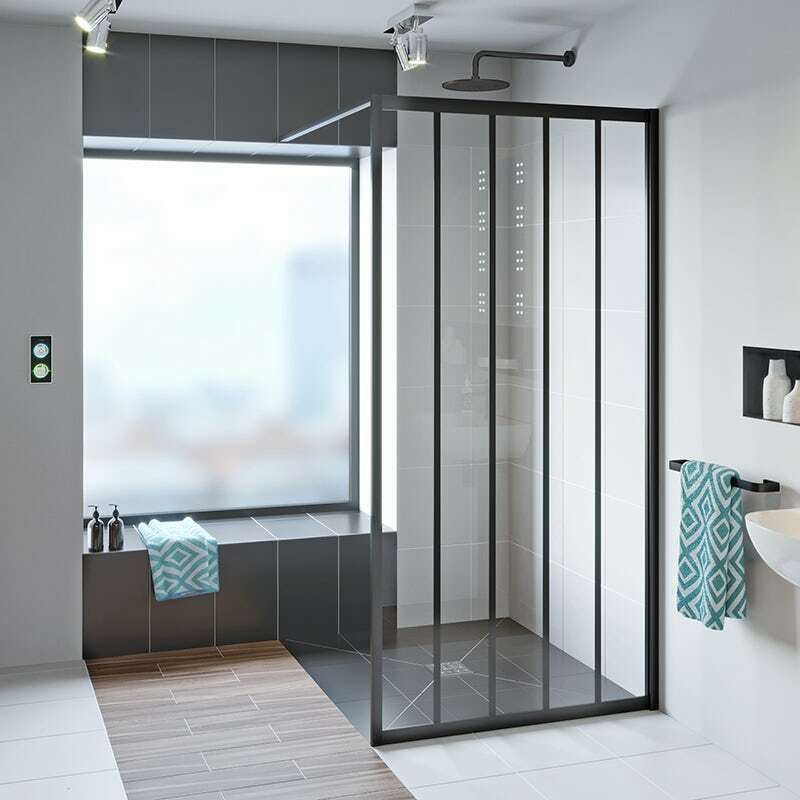 A smart shower system, like SmarTap, is ideal as it can be used with a whole host of smart home systems to provide voice activation. James and his wife can pre-programme their favourite shower experiences and start them from anywhere in the home. If manual control is needed, the black e-valve features LEDs, contrasting against the white of the wall, so James can immediately locate it. With a black powder coated finish, the choice of tap is deliberate, contrasting against the white of the walls and basin. A wall hung basin also means there is no pedestal which may hinder access. One of the most obvious and important elements in this bathroom is the choice of tiles. Whilst still maintaining a contemporary look, different coloured and textured tiles have been chosen to guide James to the different areas of the room. The wood effect tiles represent routes to the toilet and basin (where the tiles carry on up the wall) and to the shower. They contrast greatly against the white, and in bare feet, the feel between the two types of tile is instantly recognisable. The shower area features a black tile for differentiation. A motion sensor flush has been added to the wall hung toilet, meaning there's no need to locate a manual push button. Another major consideration is the number of things that jut out into the bathroom space. Which is why recessed storage has been used instead of say, a cabinet or a vanity unit. The recesses were created by constructing a false wall, a foot or so in front of the original wall. This also allows for the concealed toilet cistern to be neatly tucked away from view. Accessories have been kept to a minimum, although there is another high contrast item in the form of a towel rail. An LED mirror brings an additional light source, whilst spotlights, when used outside of daylight hours, bring intentional focus to the toilet, basin and shower area. 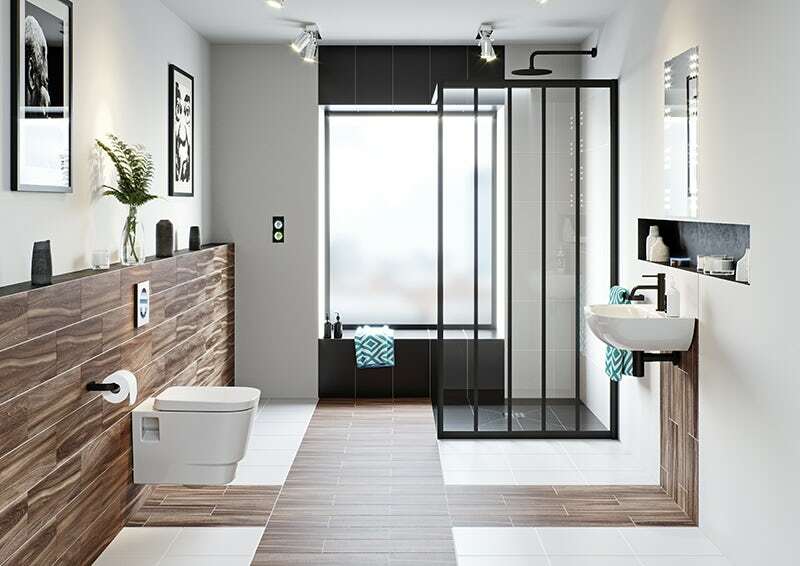 If you would like to discover more about our superb range of accessible products, check out our Independent Living bathroom range and find out how you can create a stylish bathroom for you and your loved ones. In our series of Independent Living room planning guides, we'll show you how to create a stylish bathroom for an elderly relative.